Whenever we experience someplace as magical as Shark Bay, there is some sadness and reluctance when the time comes to move on. But, that is our life for now. 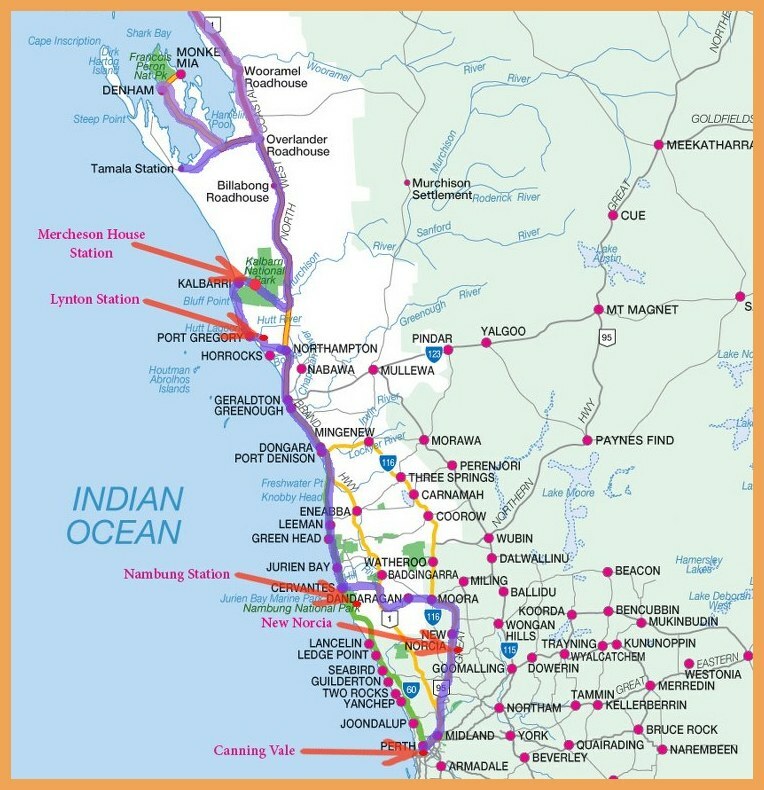 We had a house-sitting position and a volunteer workshop to get to in Perth, and much to see and do on the way. 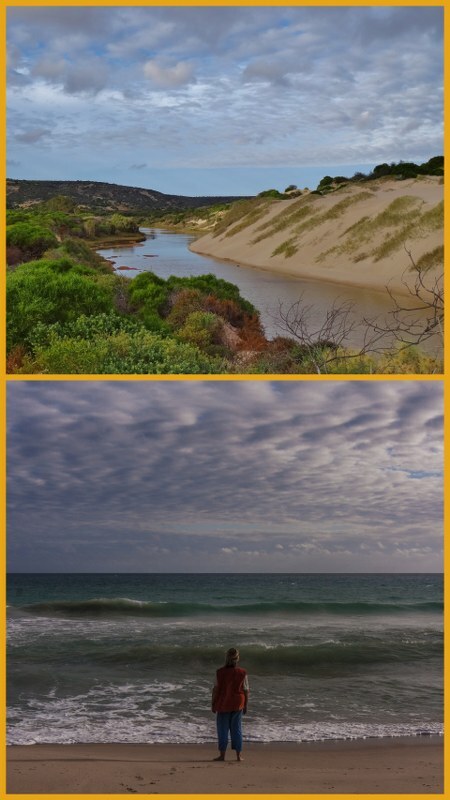 Our first stop was Kalbarri, famous for great surfing, swimming & fishing at the mouth of the Murchison River. 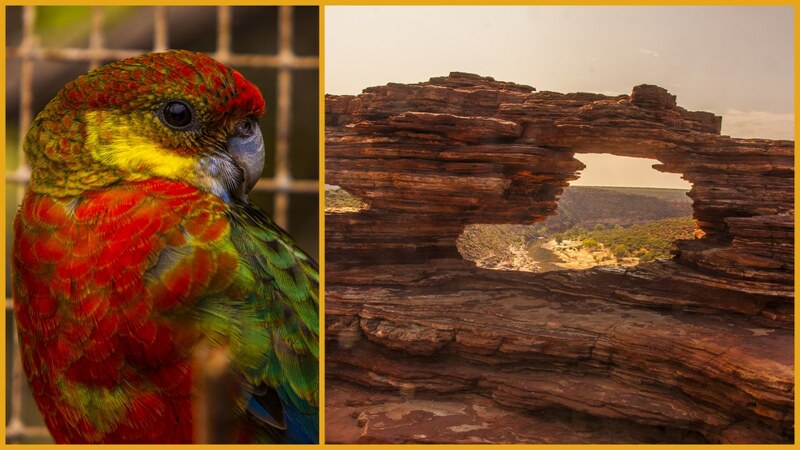 It’s a small, popular seaside village, close to Kalbarri National park and Rainbow Jungle. As an added bonus, on our way in we bumped into Don and Karen, volunteer Camp Hosts at Cape Range National Park (aka Ningaloo Reef). We had gotten to know them a bit when we were camped there, and they have been very supportive in our plans to become camp hosts ourselves. 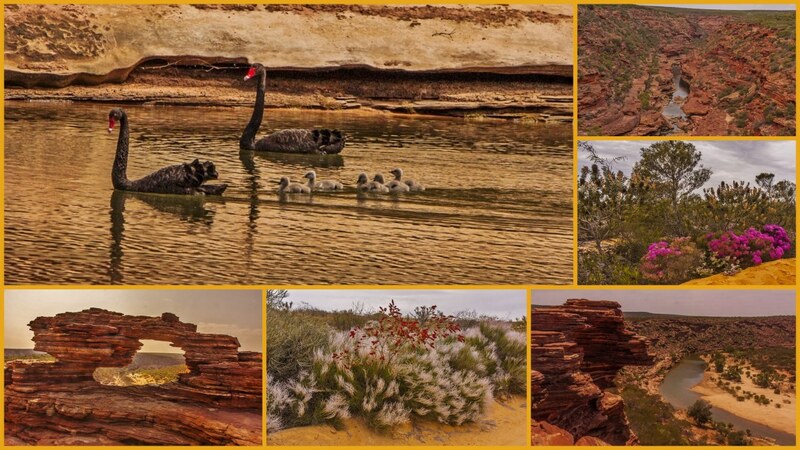 The next day, it was too hot for me to go hiking, so I sent Rod off to check out the gorges in Kalbarri National Park, culminating at Nature’s window, one of the most photographed geological formations in Western Australia. He nearly died from heat exhaustion, but on the upside, he got some awesome photos. While he was away, a new camper arrived next door, a keen kayaker called Karen (hopefully a fan of alliteration). 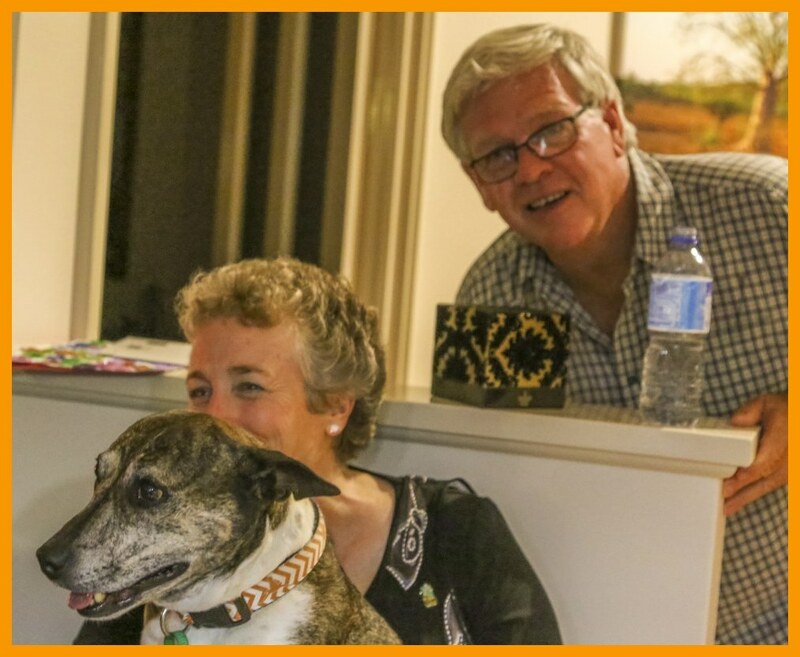 In the short time we had to become acquainted, we discovered that she too was friends with camphosts Don and Karen, likewise meeting them while camping at Ningaloo Reef. A delightful coincidence and one of the many pleasures of this lifestyle. 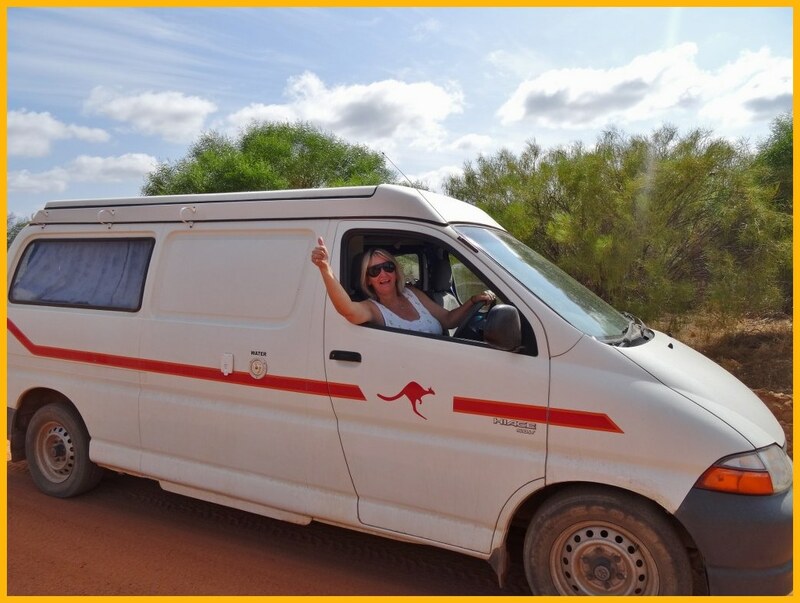 Later that evening, in a leap of trust, she asked us to drive her van “Kanga” to Kalbarri the following day, so she could kayak down the Murchison River and into town before heading off to her next destination. That is not the end of our story with this Karen (or the other Karen) but more on that later. We really lucked out on our next camp. By some miracle, we arrived at Lynton Station only to have the whole place to ourselves. How wonderful! The managers were so friendly, and the camping area was fantastic. We spent a very delightful 2 nights there, exploring the historical buildings and nearby Hutt River and coast. 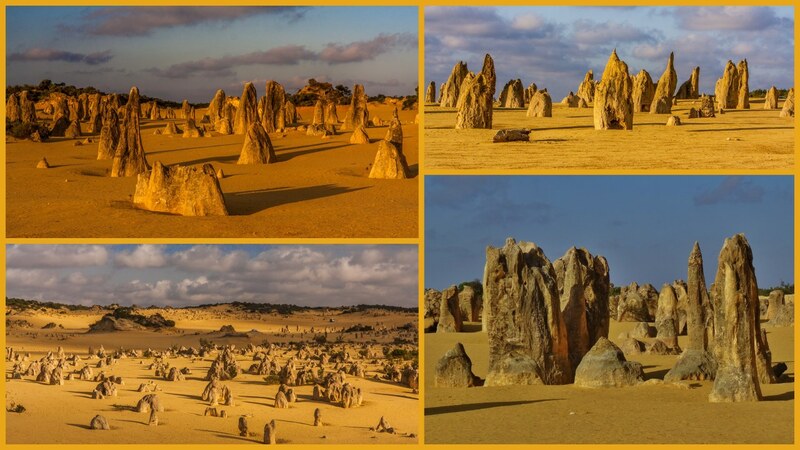 The next station stay was underwhelming by comparison, but a good base for seeing The Pinnacles in Nambung NP. There are thousands of these crazy rock spires rising out of the desert like some scene from another planet. When we were there, only a few other vehicles were winding around the rock-lined dirt track, so the effect was quite eerie. 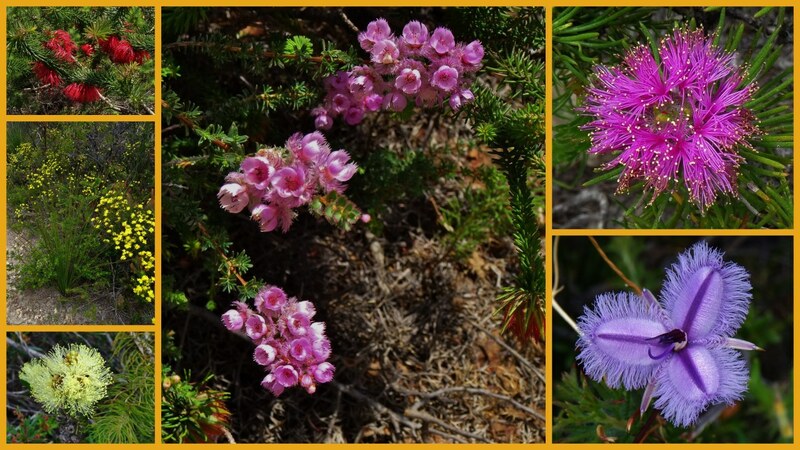 On the suggestion of our campground host, we also visited Lesueur National Park and drove through one of the most spectacular wildflower displays we’d ever seen. 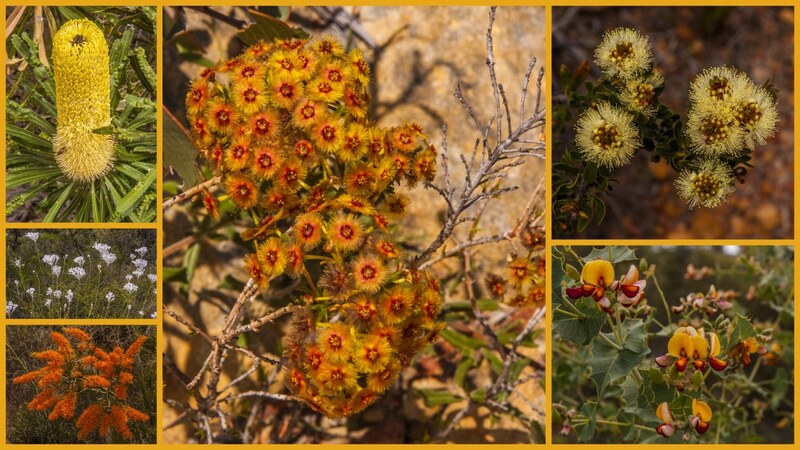 The one-way track winds around the scenic hills, which are bursting with multi-coloured foliage and flowers. In fact, it was too gorgeous for only one collage, so here’s another. Since we didn’t really want to spend any more time at Nambung Station, we made a snap decision to spend our last night of ‘camping out’ at New Norcia, a Benedictine monastery community dating back to the 1840’s. 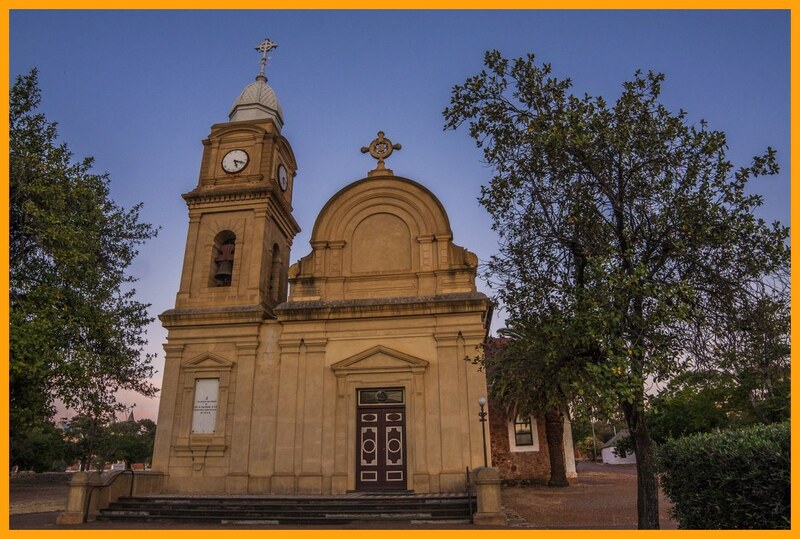 Although there is still a handful of monks living in New Norcia, it is primarily reliant on tourism, famous for being the only monastic town in Australia. For a small fee, campers can stay nearby in a bush setting, and tourists can join a guided tour of some of the historic Spanish-style buildings in this unique community, see the amazing museum and art gallery, observe one of the six daily prayers in the monks’ private chapel, or just walk around the amazing Spanish style buildings and enjoy the peace and tranquillity of the place. It was an experience I was glad to have, but I don’t know if I would rush off to do it again. 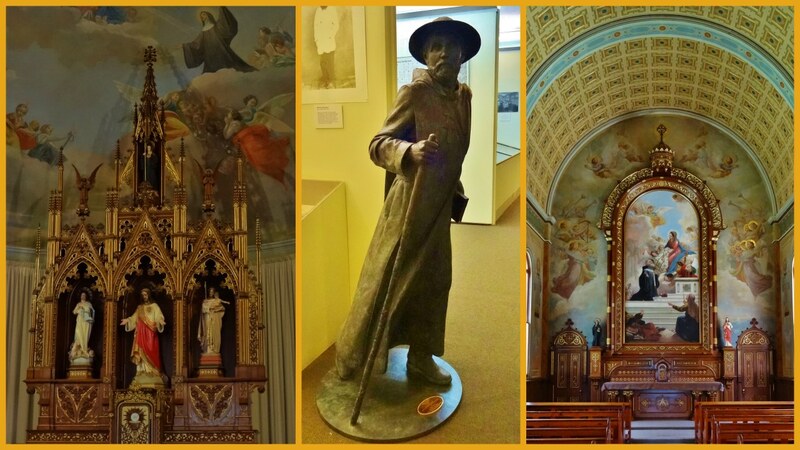 Not being particularly religious, it was an interesting, but very foreign insight into the history and lives of the devout. 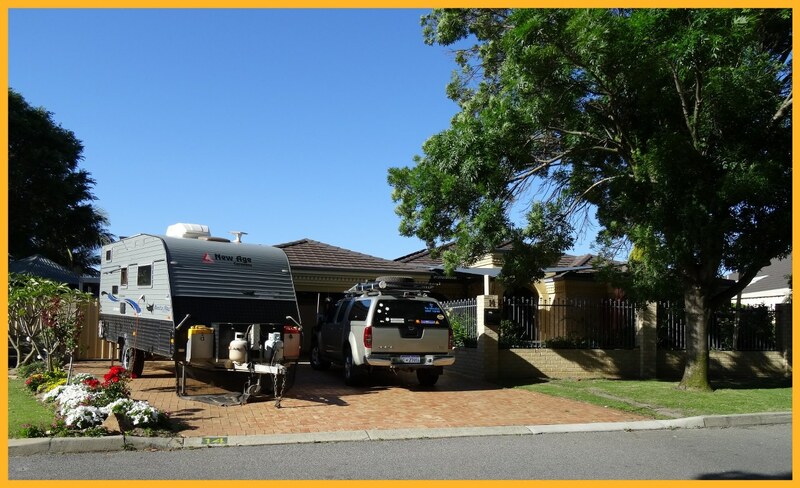 The next day, we headed off to a completely different kind of adventure – housesitting in the suburbs of Perth! The house was gorgeous, our hosts were incredibly welcoming and gracious and we had the pleasure of looking after an absolute sweetheart of a dog. Both of Sasha’s “parents” are very devoted to her care and happiness, and it shows. She’s a very happy pup. 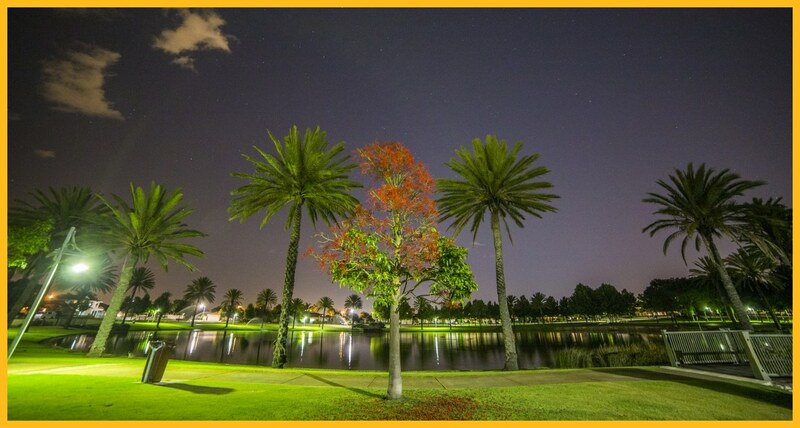 We thoroughly enjoyed our time in Canning Vale, across from a sweet little park, with a lake and water fountain. And it was the perfect base for us to attend the National Parks 2-day Camphosting Workshop. It’s an annual event for new and experienced volunteer camp hosts to meet with the National Park rangers and other staff, share experiences and to secure their preferred hosting positions for the following year. 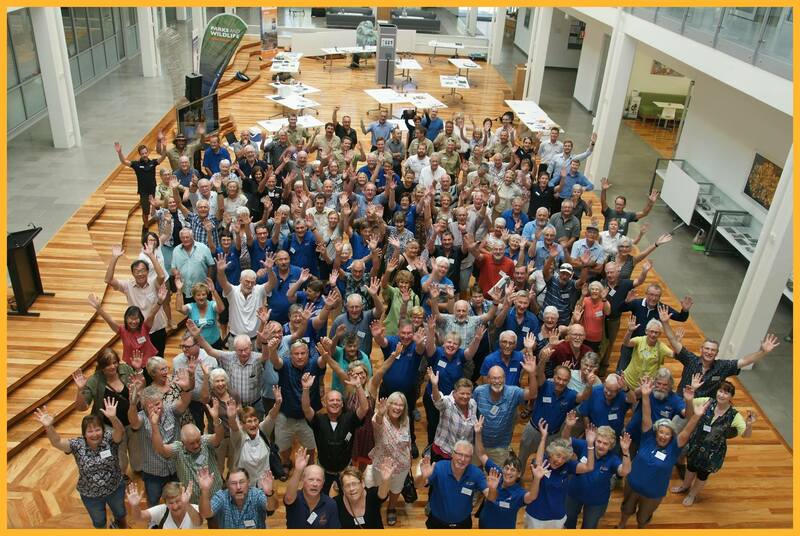 It was a great opportunity for us to join a team of like-minded people, and to be more involved in Western Australia’s National Parks. These hosting experiences are sure to crop up in future blog posts. I’ll give a gold star to the first person to pick us out of the crowd. What’s next? The South West. Your faces leap out of the crowd, how could they not? In the middle, fourth row or so from the back. Too late for the gold star? 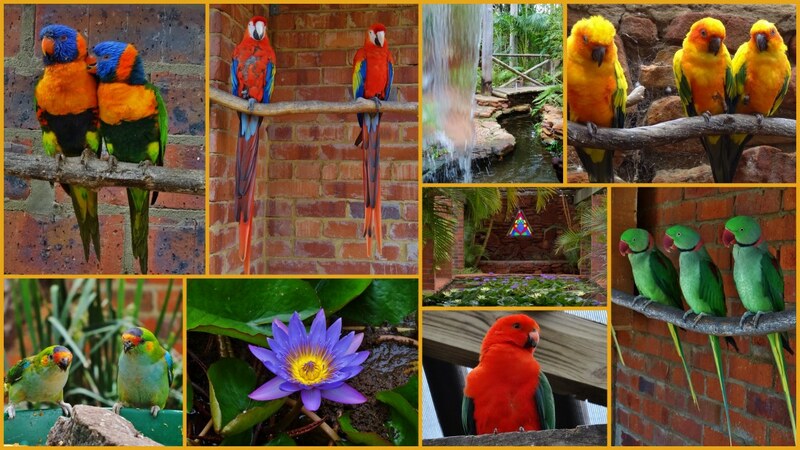 Landscape, flower and bird photos wonderful as always!